Today’s healthcare marketers face many challenges – market uncertainty, growing consumerism, adoption of new technologies (like telemedicine) and the complicated digital landscape, just to name a few. In this challenging environment, developing successful marketing strategies for initiatives that range from open enrollment and brand launches, to member communications and service line promotions, requires strategic thinking, breakthrough creative and careful execution. See our marketing work for leading health insurers. 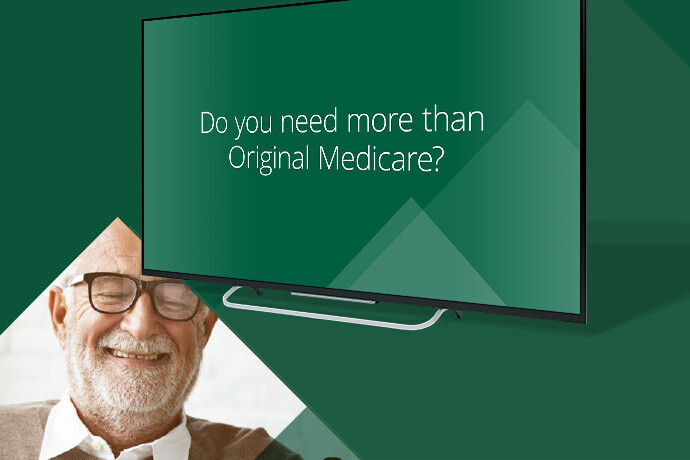 This was our 3rd year working with HAP on its Medicare AEP campaign. We utilized a number of tactics during the campaign, including DRTV, print, collateral and more. Read more about the results and see the work here. Media Logic recently helped MVP Health Care launch its new telemedicine service as part of the health insurer’s open enrollment marketing campaign. See how this integrated campaign positioned the 24/7 online doctor visits as a proof point for MVP’s new brand — which emphasizes personalized support and convenience. Having successfully guided St. Peter’s through a complex hospital system merger, Media Logic turned to real people – SPHP’s patients and doctors – to share the next part of its brand story: the hospital system’s impressive continuum and depth of care. See how these patient success stories helped evolve St. Peter’s brand story. 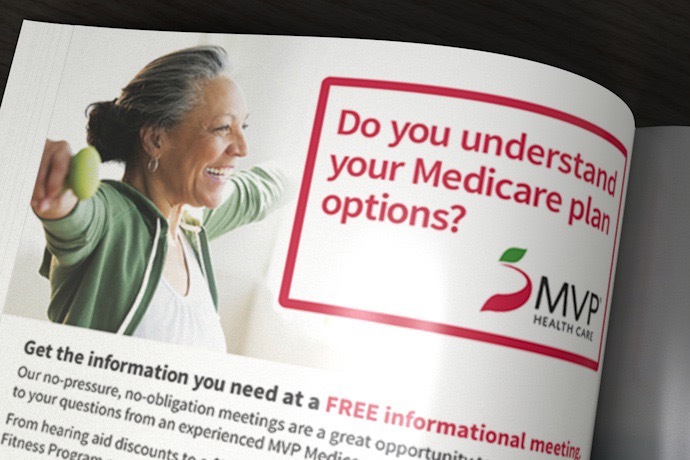 Targeted direct mail pieces, a lighthearted creative approach and detailed tracking mechanisms were the elements Media Logic brought together for MVP Health Care’s AEP Medicare campaign. See how the elements of the brand refresh, and the new product offerings and plan options came together to create a successful AEP campaign. In today’s healthcare environment, having a marketing partner who knows your industry can be a game changer. 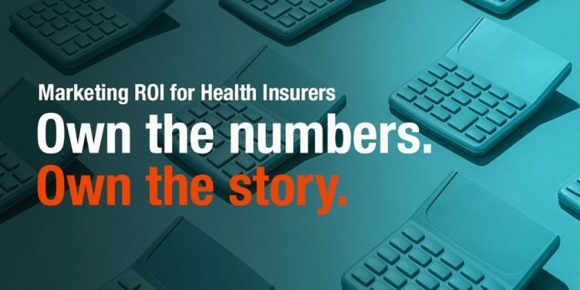 Our clients have called us their “strategic weapon” and we are proud to work with them navigating the challenges of today’s healthcare landscape and ensuring that they get the best ROI from every campaign. If you’d like to learn more about these campaigns, contact Jim McDonald, Director of Business Development, at 866.353.3011. In reviewing direct mail, direct response TV and other marketing tactics used by insurers with this year’s biggest Medicare AEP enrollment gains, some common threads in strategy, design and messaging stood out.